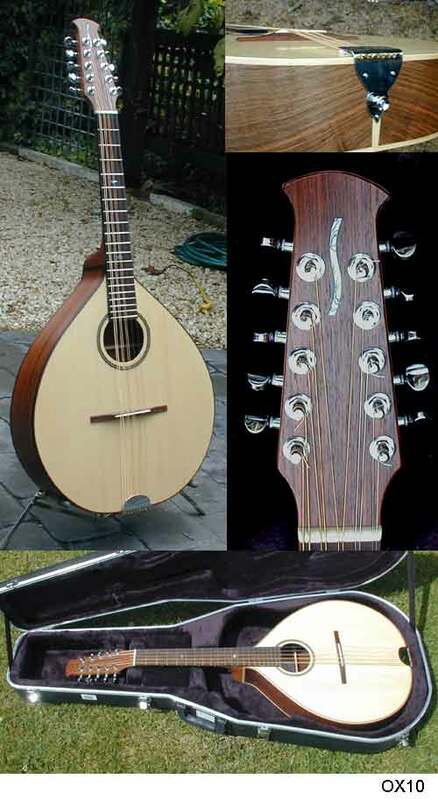 The OX model is a recent addition to the family and blends the 22" scale length and playability of the octave mandolin with the body size of the mandocello/bass-ouki. This results in a short scale instrument with amazing depth of sound, extremely rich and full. Great for solo song accompaniment and for backup without the need for a guitar.